Just one hundred years ago, two architectural jewels opened at the Grand Canyon. They are the 95-room El Tovar Hotel and the Hopi House Indian Arts Building. Both reflect the foresight and entrepreneurship of Fred Harvey, an immigrant from England, whose business ventures eventually included restaurants, hotels, newsstands and dining cars on the route of the Sante Fe Railroad. The partnership with the Atchison, Topeka and Sante Fe introduced many new tourists to the American Southwest by making rail travel comfortable and adventurous. Employing many Native-American artists, the Fred Harvey Company also collected indigenous examples of basketry, beadwork, Kachina dolls, pottery and textiles. 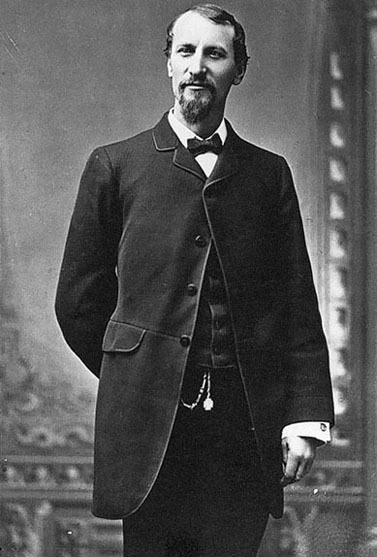 Fred Harvey, who lived from 1835-1901, arrived in the United States in 1850 at 15 years of age. His first job was a “pot walloper”, a dishwasher in New York City at the Smith and McNeill Café. Harvey made a career change and worked for railroads with travel opportunities for twenty years all over the United States. He learned first-hand what travelers in the West had to endure: uneatable dry biscuits, greasy ham and weak coffee. He even traveled on the Hannibel & St. Joseph known as the “Horrible & Slow Jolting”. After rejection by the Burlington Railroad, Harvey struck a deal with Charles Morse, president of the Santa Fe Railway. With only a handshake to seal their agreement, the two companies began a long and fruitful partnership.